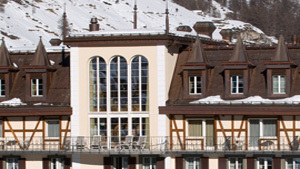 The five-star Mont Cervin Palace in Zermatt, Switzerland will close for the summer season, as part of a multi-million upgrade of its 77 rooms. The main building of the property will reopen in December and guests will be accommodated in its annexe building, the five-star Le Petit Chervin. The hotel has meeting facilities catering up to 420 people.